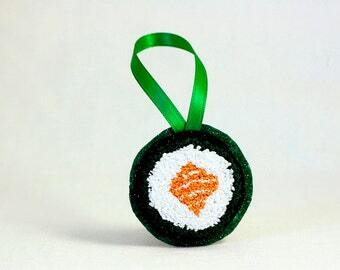 What could be more fun for your Christmas Tree than a three dimensional avocado? 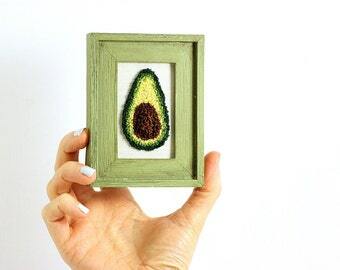 I created this miniature avocado in the punchneedle embroidery technique, which is essentially miniaturized rug hooking. I drew up the avocado on weaver's cloth and used my adjustable needle to create the realistic dimensional effect. By slowly increasing the height of the needle, the pit and the back become an incredibly realistic work of art! 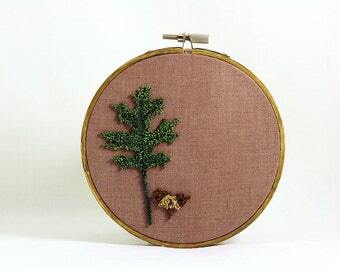 It's what makes punchneedle so special, and different from all other forms of embroidery. There's really no food I love more than avocado. It's perfection. 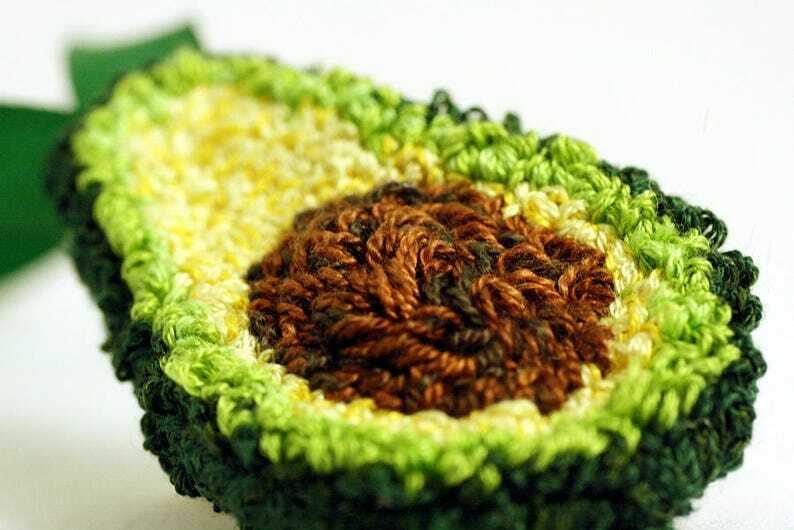 This avocado hasn't been stuffed with anything, the whole effect is done with the adjustable needle and slowly increasing the length of the loops. I'm super excited about this one! 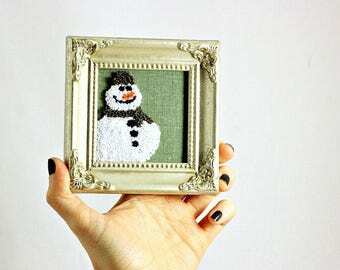 The overall size is approximately 1 3/4" tall by 1 1/4" wide (at widest point). FYI: Some elements may vary slightly depending upon availability of products needed to create the art. Each one is hand drawn (no pattern) so please allow for subtle differences. I endeavor to stick as closely to original as possible but sometimes thread shades will vary slightly - as most are hand dyed, shades may vary slightly from the original pictured depending on your computer screen and dye lot. This avocado comes in pretty eco-friendly packaging all set for gift giving.